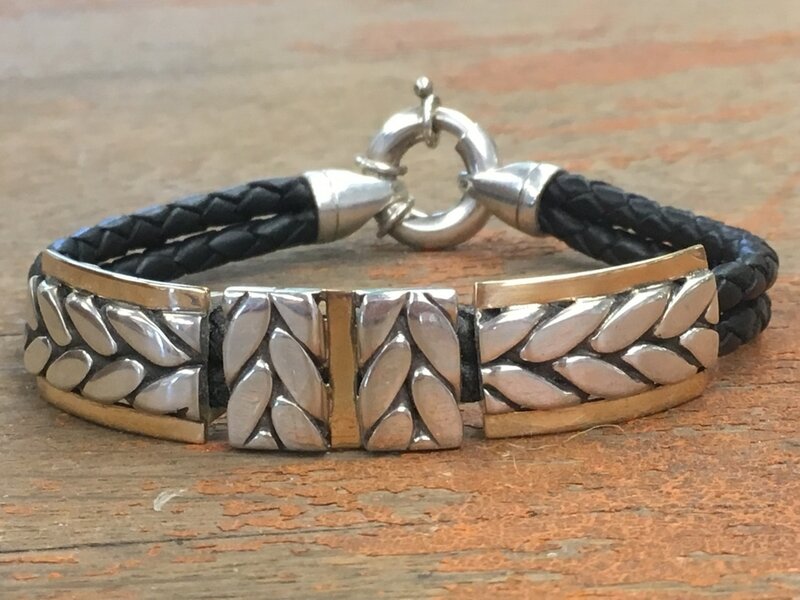 Heavy braided sterling silver wire teams up with 14K gold bars, laced on double strands of braided leather, finished with a substantial silver closure. 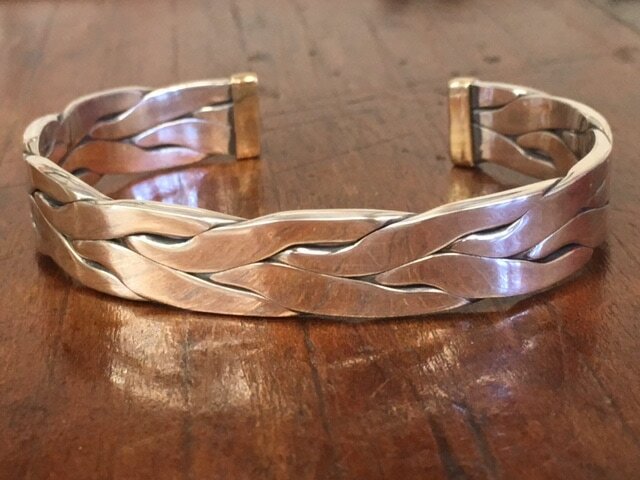 Rolled sterling silver wire with 14K gold endcaps. Simple elegance! 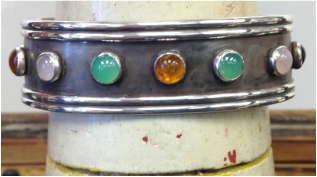 Rose Quartz, Chrysoprase and Amber light up this oxidized sterling silver cuff. 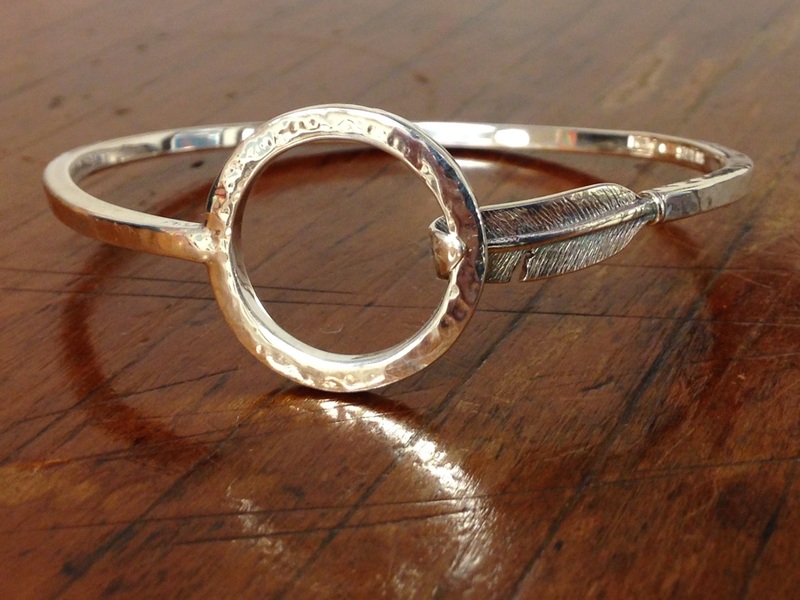 Substantial yet delicate describes the feel of this filigree cuff. An antique look with a contemporary edge. 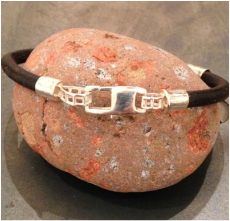 My hand carved feather holds on securely to the clean fluid lines of this sterling silver bracelet. 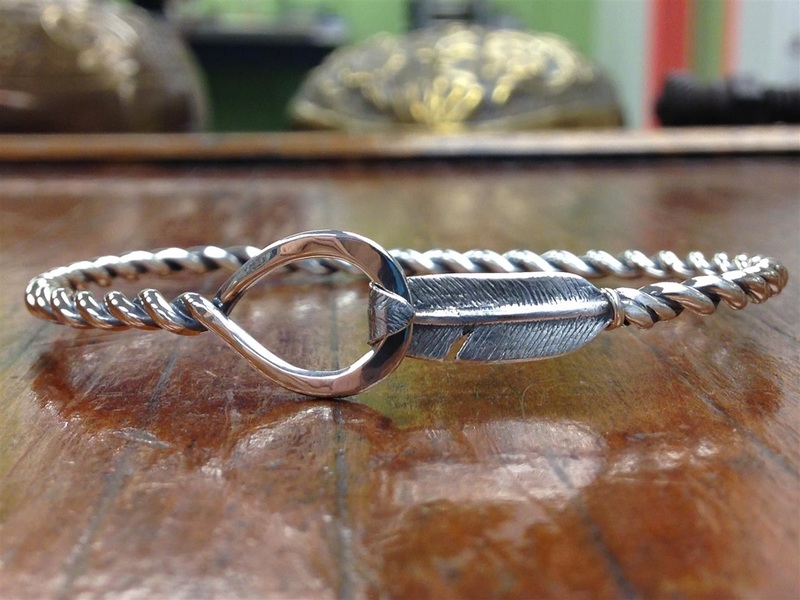 Twisted up but holdin' on is this fun little sterling silver feather clasp bracelet. Heavy leather cord passes through sterling silver tubing while turquoise hovers on top in a unique prong setting. 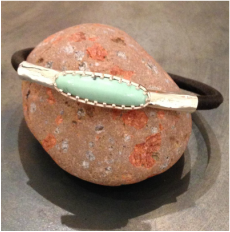 Chrysocolla, sterling silver and leather = Cowgirl chic. Double ring closure adjusts from 5-1/2" to 7-1/4" wrists. 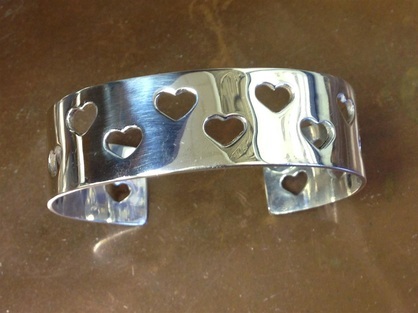 Pierced hearts scatter about this sterling silver cuff.